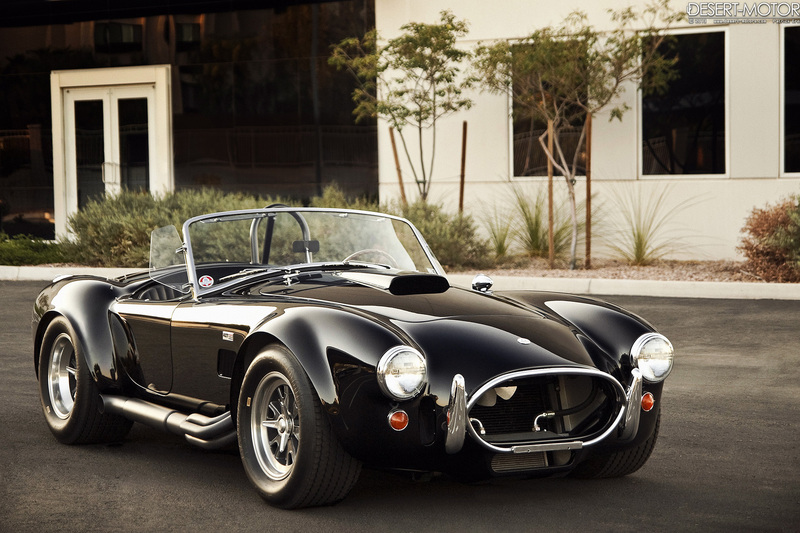 This 427 Cobra was the fourth of just 260 original 427 Street Cobra produced by Shelby. Let us be clear; this is not a reproduction or continuation car, it is an original Cobra built at Shelby American in 1965. CSX 3127 served as Shelby’s test vehicle and to gauge customer response to the 427 Street cars. Factory records obtained from AC Cars Limited show that chassis number 3127, as listed on their invoice: “Prototype Mk.II Road Car, Unpainted, Black Leather”, was completed and shipped to Shelby American in Los Angeles by air on April 30th, 1965. 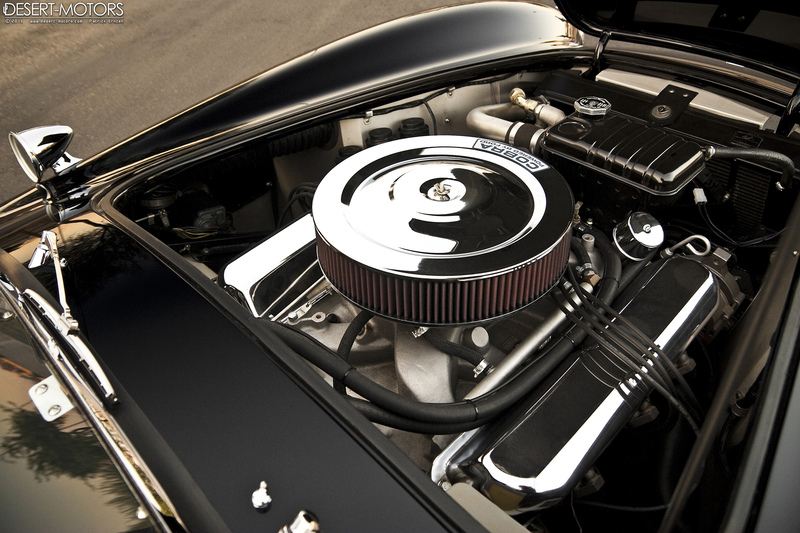 While most Cobras were shipped by boat to the States, the importance of 3127 is demonstrated by the fact that not only was it shipped by air, but also delivered to Shelby in bare aluminum, rather than painted. Shelby American records indicate they completed 3127 on September 9th, 1965, after which it was also used as Shelby’s demonstrator and public relations car including a tour of duty on the famed Cobra Caravan tour. Carroll Shelby made sure his PR cars were seen with the right people at the wheel. As such, CSX 3127 was loaned to celebrities and movie studios, such as Universal Studios and Paramount. Astronaut Scott Carpenter was loaned 3127 in May, 1966, when his personal 427 Cobra (CSX 3230) was being painted by Shelby American. Robert Cophier, a Ford executive, was loaned 3127 after Carpenter returned it. The Shelby Factory continued using 3127 for similar duties until 5/26/1967, when it was sold to its first owner Gregory Peabody. Mr. Peabody kept the car for over a decade, until 5/1980, when he sold it with just 19,000 miles to Sloan Krister. Krister sold the car in 3/1986 to United Artists who gave the car as a gift to Sylvester Stallone upon completion of the movie “Cobra”. Stallone later sold 3127 to producer Jeff Mohr. Ten years later, in 1996 John Zinsmeyer purchased 3127 from Mohr, and had noted Cobra restorer Mike McCluskey performed a concours level restoration. CSX 3127 then passed to John Sinders in 2001, who later sold it to noted Cobra authority Colin Comer in 2005. Comer applied the stunning black paint it retains today as well as thoroughly sorted the car mechanically. 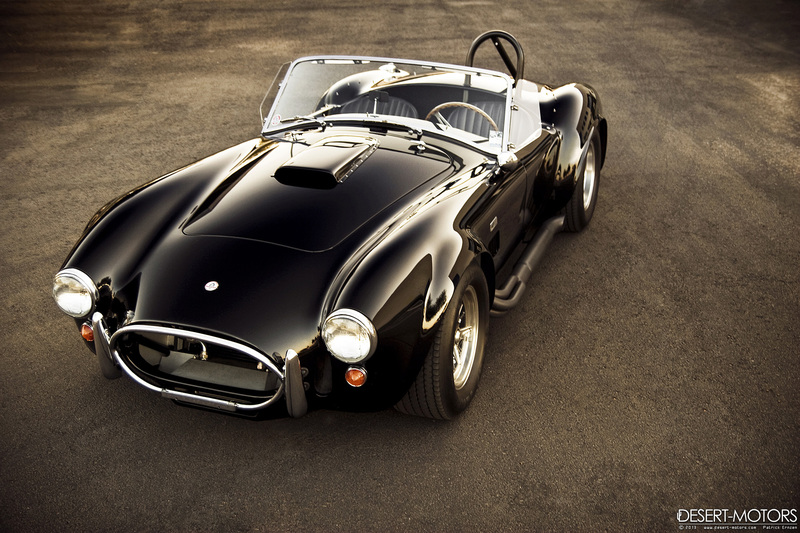 The positive public reaction to CSX 3127, as well as the high profile exposure gained by having this automobile in the hands of influential people clearly helped create a market for the 427 Street Cobra. If it were not for this very car and the hype surrounding it, we may not have had 427 Street Cobras, unquestionably one of the most iconic vehicles of our time. CSX 3127 has been featured on the 1989 Mac Tools calendar; in The Shelby American magazine #56; featured and track tested on Spike TV’s hit show “MuscleCar” in 2006; was shown at the ISCA’s World of Wheels show in 2006 where it won Outstanding Engine, Outstanding Restored, and Best of Show; and has completed the Copperstate 1000 road rally twice (2006 and 2008), both times without skipping a beat for the entire 1000 miles. Although few Cobras have survived and are now highly coveted by collectors worldwide, none can rival the unique Prototype designation, noteworthy and celebrity ownership history, historical significance with detail in both authenticity, quality of restoration and attention to detail, all culminating to establish CSX 3127 one of the few elite collectible pieces of Shelby American automotive history.